You’re not homely, you’re just looking at yourself in the wrong light. Imagine if you could go from a five to a seven with a flick of a switch, wouldn’t your day be better? Well, literally, you can. 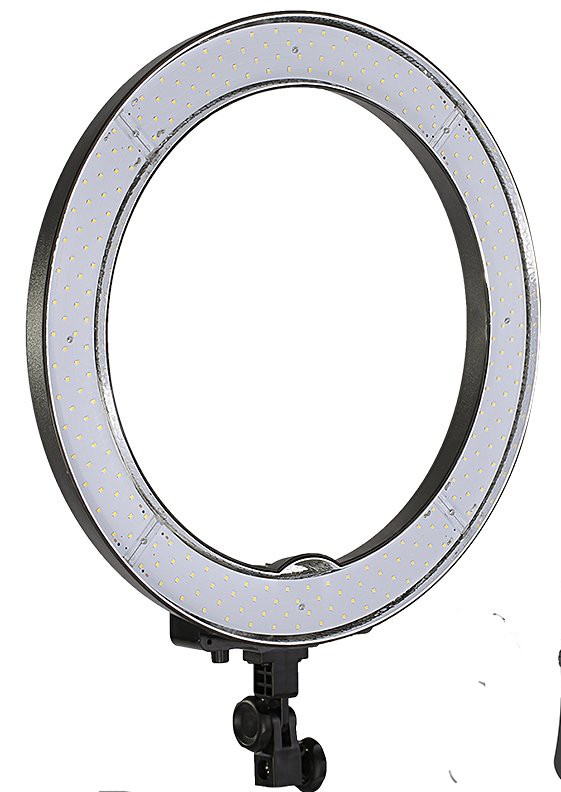 A ring light illuminates your face in a perfect light balance, so your face doesn’t appear unbalanced or flat. 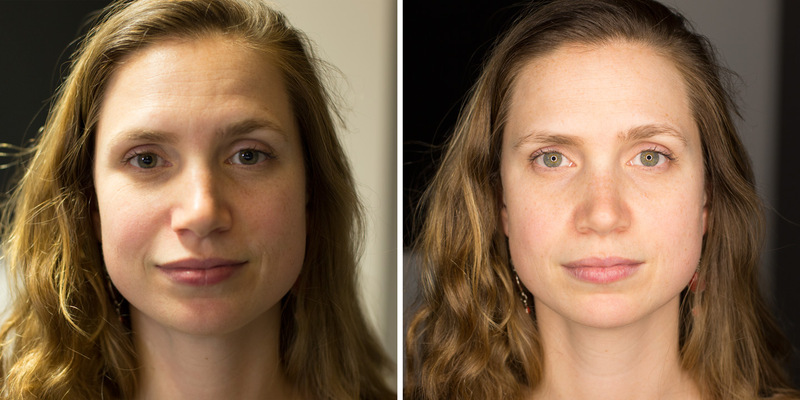 If you have a light source that illuminates you from just one angle, it will cast tiny shadows that throws off the visual symmetry of your face. This will be even more pronounced if you have any facial scaring, from acne or an injury, or sagging skin. 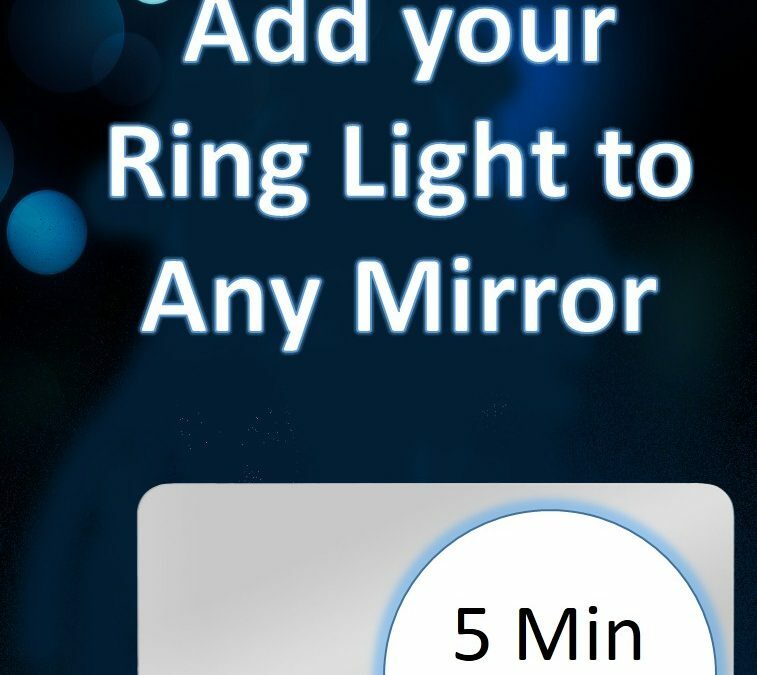 Ring light will allow you to better apply your makeup, important if you are a beauty vlogger on Youtube or it’s just important for you to apply makeup in perfect proportion. 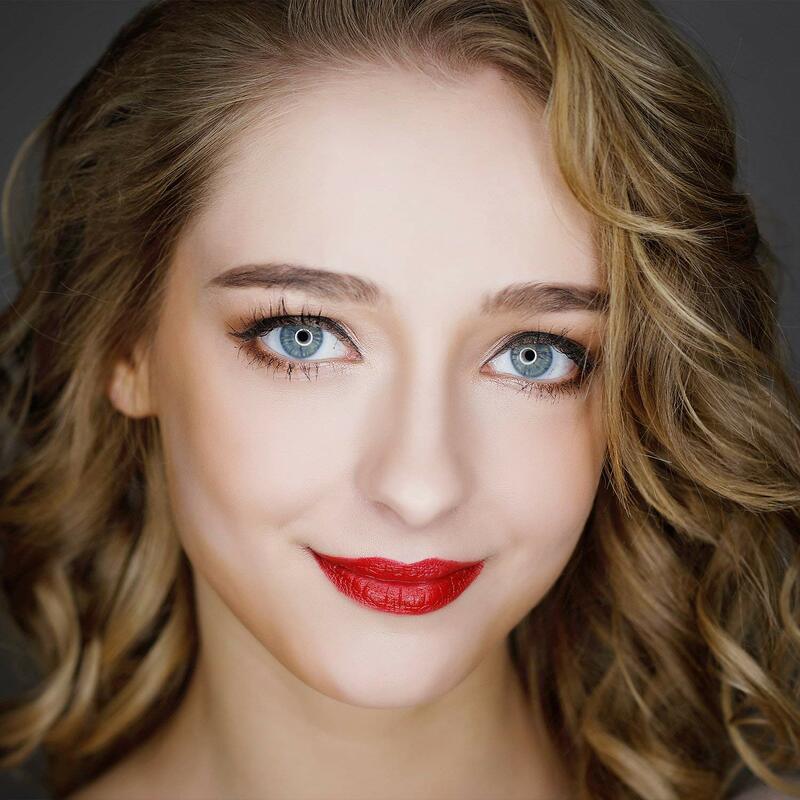 Professional makeup application involves a complex combination of different shades and foundations, so your light needs to illuminate your face in the best way possible. 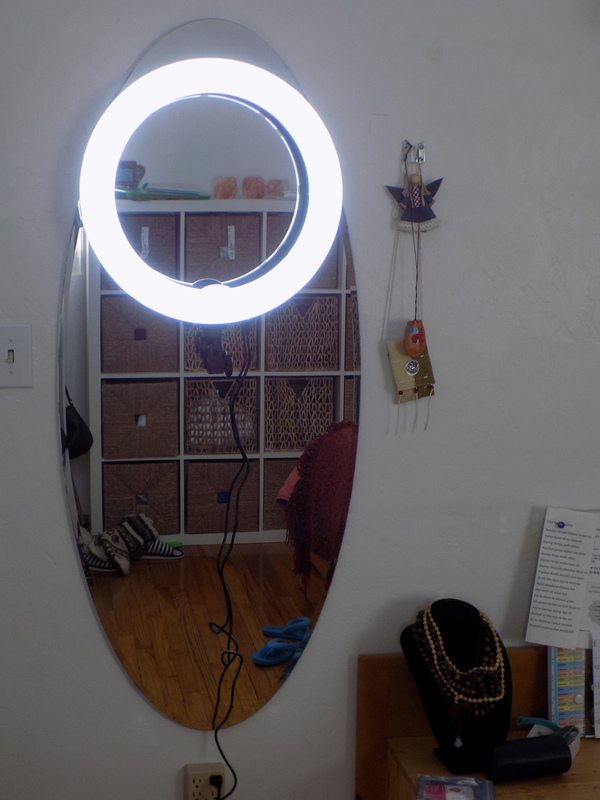 Alright, so now you have ring light, but it’s awkward to use in front of the mirror. 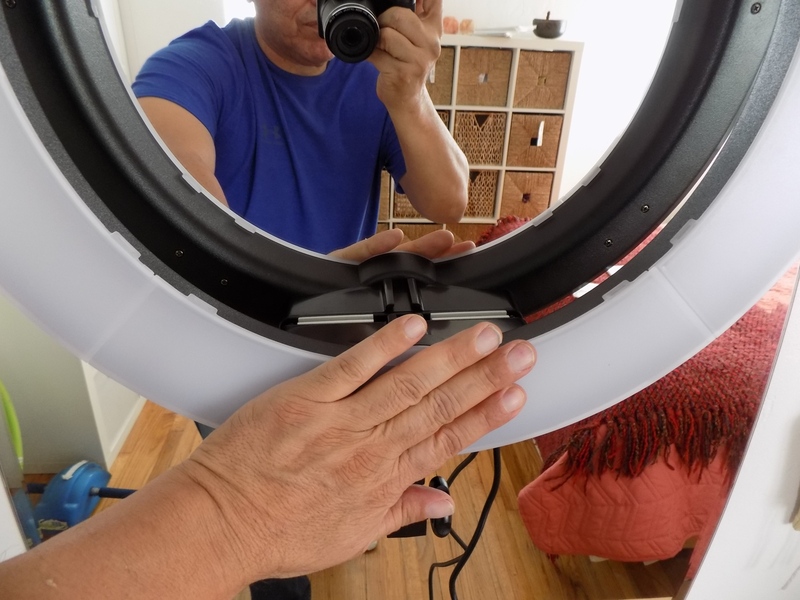 The best way to use a ring light for applying your make-up, is having it directly in front of you. First make sure your mirror is clean. 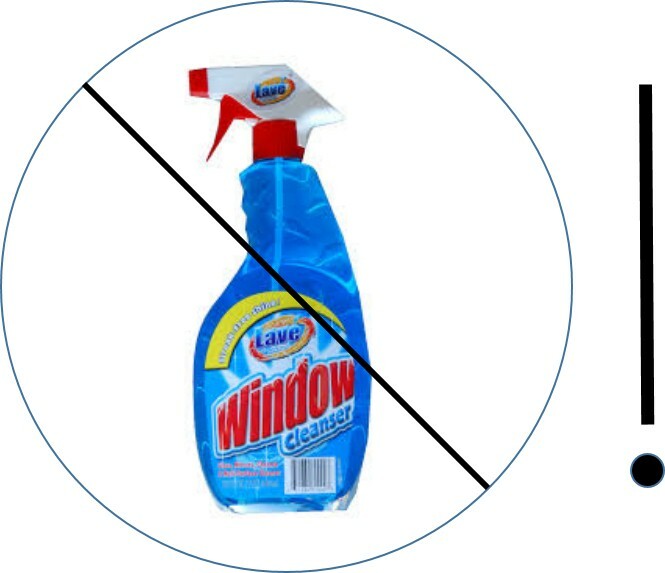 By clean I don’t only mean clean from dust and dirt, but free from cleaner residue, like Windex. Cleaners leave a residue that make it hard for tape to stick to it. I recommend using rubbing alcohol (isopropyl alcohol) to clean. Mirrors already have a finish that makes it hard to stick tape to, which is why you need to make it receptive to tape as possible. 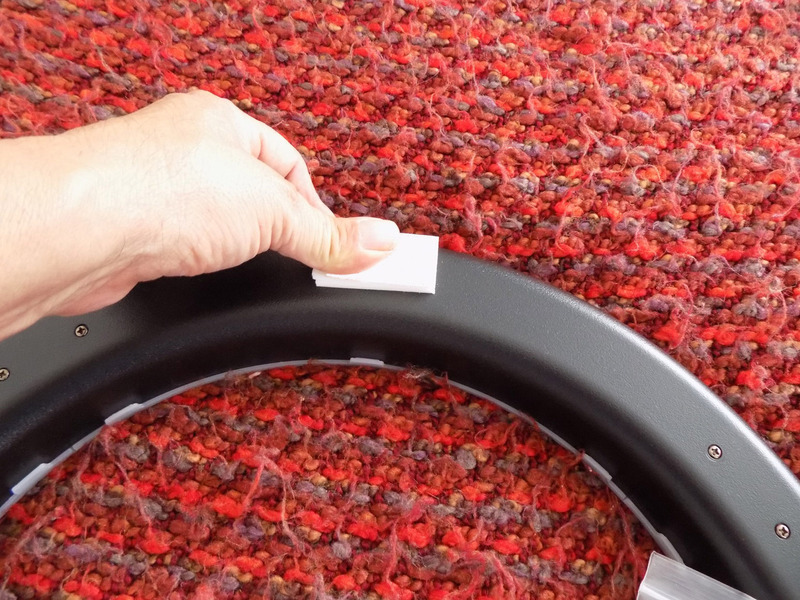 Second, apply foam tape to back of ring light. 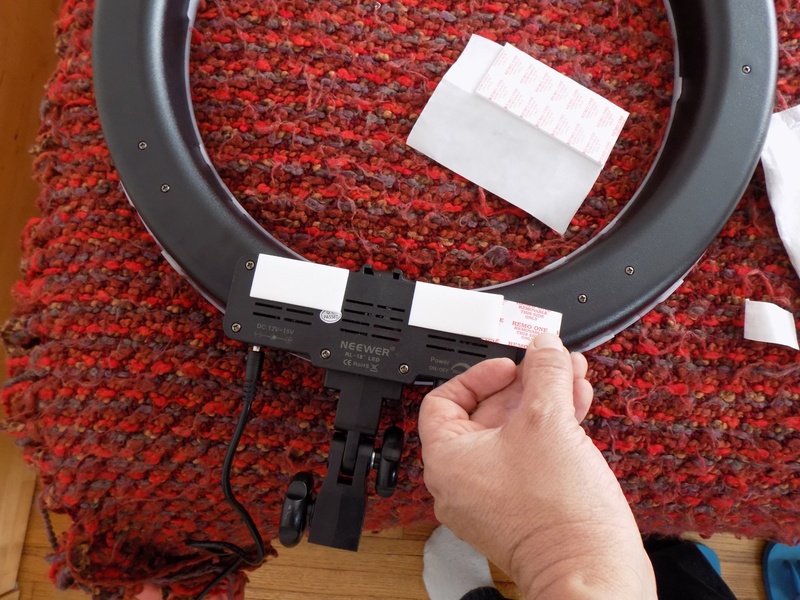 I placed the removable side of Apartment Tape against the ring light, this way I don’t mark up the light when I want to remove it. Press down very firmly. Third, with the protection film still on the tape, place it against the mirror to measure the position where you want it, and to see if the foam tape will sit squarely against the mirror. If you need to adjust the foam tape, peel off and reposition. If you need more foam tape, add as many you need. Now you are ready to peel the protective tape liner and stick it to your mirror. 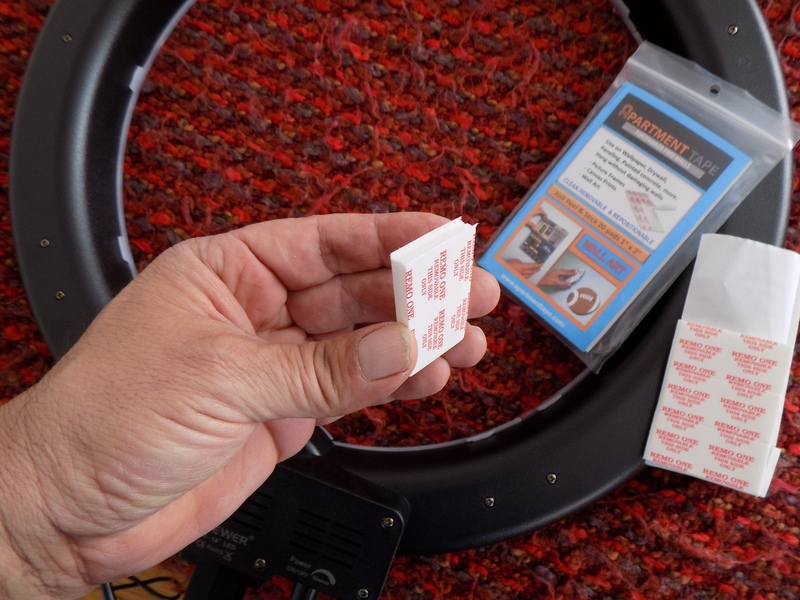 If you are using Apartment tape, the permanent side of the adhesive will go against the mirror. Because mirrors are hard to bond adhesive to, the permanent adhesive will stick but you will be able to peel away from mirror without causing damage. 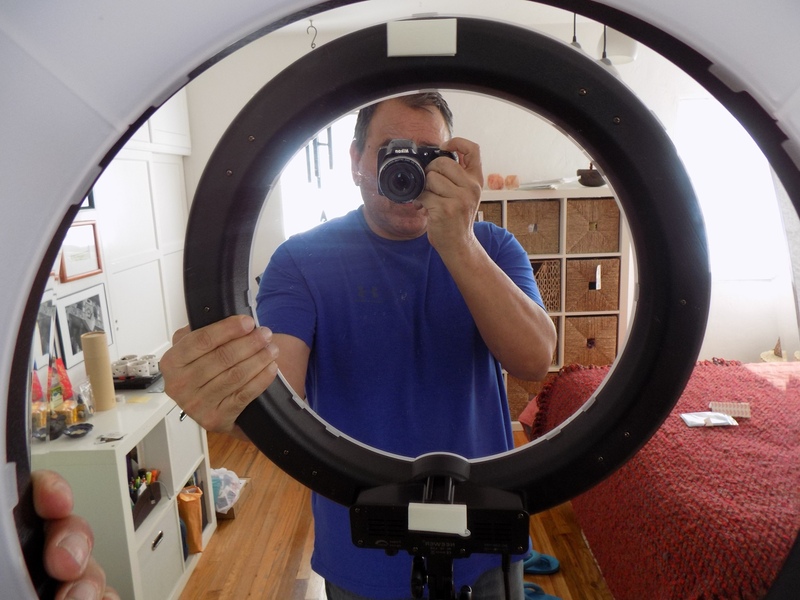 When placing your ring light against the mirror, press down hard so the adhesive spreads against the mirror. This is called adhesive “wet-out”. Hold it in place for two minutes to give the adhesive a chance to set in. You could release and start use. 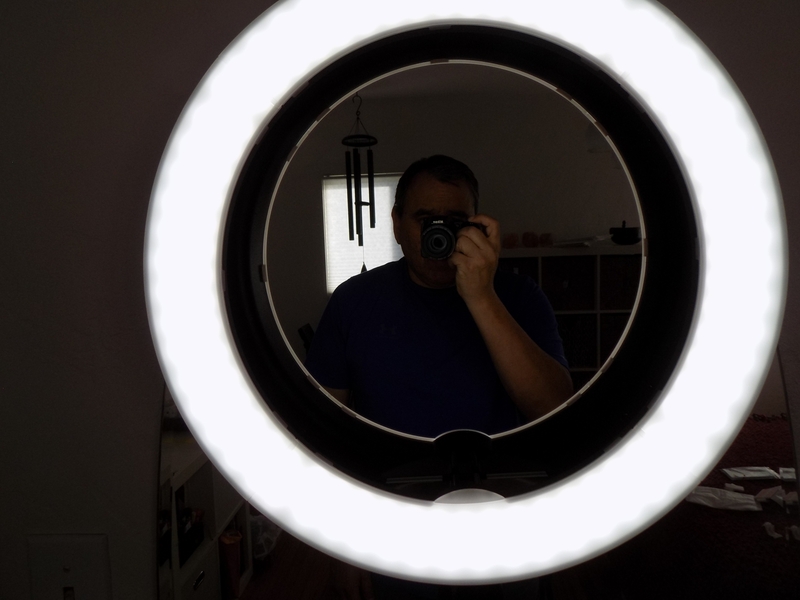 I placed the ring light on a full length mirror.